Delicious breakfast and dinner are included in the rent. The living experience is similar to a motel, as it is safe and clean. It is convenient to head to the shops or the beach, with only a 5 minute walk. We have access to fast and stable internet. There are two off street car spots for grabs everyday otherwise there is plenty of on street. It's on the top floor of the apartment block, the room comes unfurnished. All appliances are supplied already. ie. washing machine, fridge, kettle, toaster. Very happy for you anybody to have a tv, or anything else they would like to add to the apartment! Entire 2 bedroom private flat available. (Ground floor downstairs part of a 2 story house). 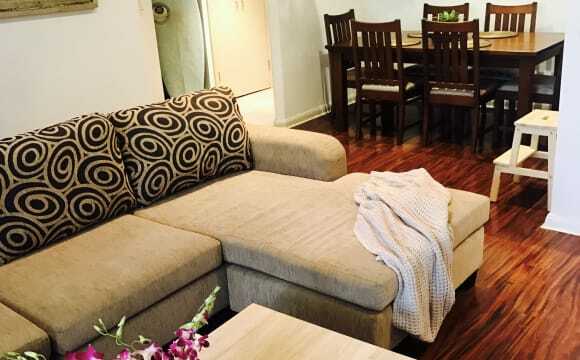 2 Very large bedrooms with robes, large living room, eat- in kitchen, own bathroom. Huge share backyard and shared laundry, washing machine provided. Use of great home gym. Own entrance. 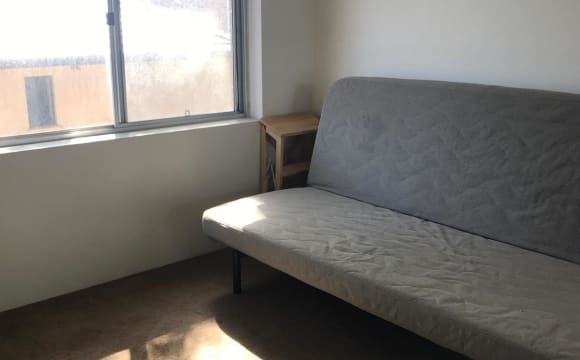 $470 for whole space and both rooms, internet, utilities included. Short walk to train and beautiful wharf down the road. 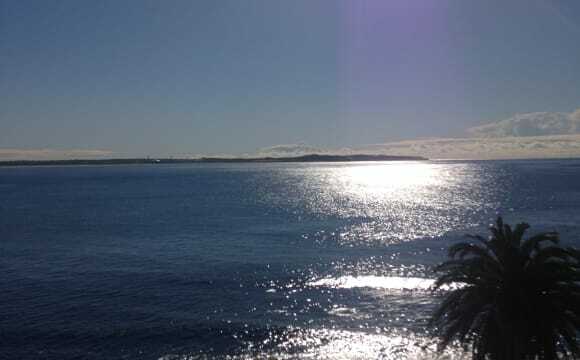 Minutes to darook park/Gunnamatta bay, Cronulla beaches and cafes. 1min walk to bus stop and 10 minute walk to station. Quiet location. Tvs in most rooms, outdoor kitchen, BBQ and dining TV area. Close to beach, mall and train station. Private room. Internal laundry. Built in in bedroom. Car spot in garage. Quiet block of 6 units. Unit is furnished will just need a bed and dresser. The property is recently renovated and has great views, and a roof top terrace. 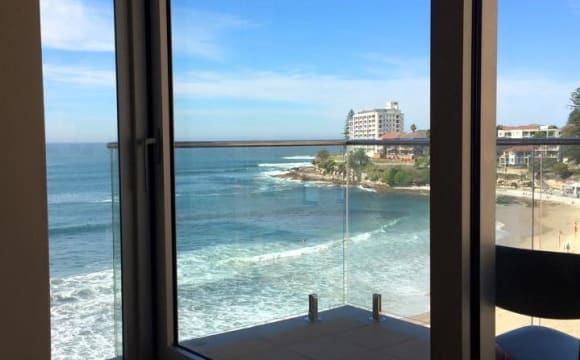 The apartment is right on the beach with fantastic views. Walking distance to the station, shops and cafes. Room is fully furnished. 2 blocks from the beach, reliable wifi, fully equipped house with everything you need. Full secure premises that are watched over 24/7 CCTV and electronic key card access to the property and your room. Great value and distance from Cronulla mall and train station. Bus stop right on the corner. My apartment is in an amazing location !! Main shops and train station are 10 min walk, there's a small convenience store and BWS only 2 mins away, and there's a small quiet beach literally 1 min away 😎 I live on a pretty quiet sreet and the building is pretty chilled with nice neighbours. The unit itself is fairly new and has been renovated. Plenty of natural light and very cool indoors. It has a pretty big balcony (not much of a view sorry). The room is fairly big and there is a built in wardrobe and other storage is available if needed. Bedroom is also unfurnished. This is an amazing property! We're a Brazilian couple and we're renting 1 couple roomin our apartment. 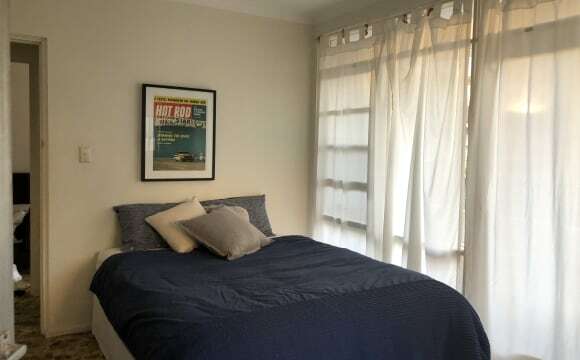 1 couple room - available in 24/04 * 2min to Cronulla beach (just cross the road) * unlimited high speed internet (NBN) * all bills included * 6 months minimum stay (negotiable) * near Woolies, IGA, cafes, restaurants, pubs, cinema, bottle shops * 8 min walking to Cronulla train station * NO smokers * Is NOT a party house Parking negotiable Cleaning negotiable * Brazilian TV channels (Premiere, Combate, Telecine, PFC.) negotiable Love dogs is a MUST, because we have a little frenchie at home! 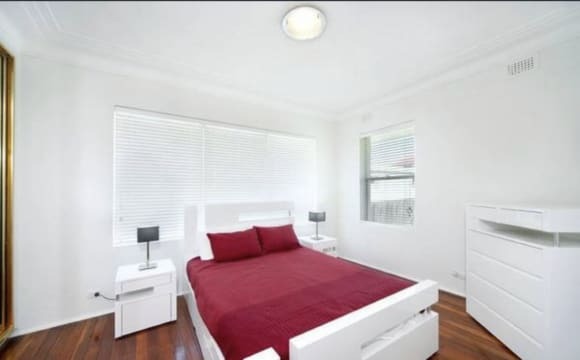 Great location, walking distance from train station (Woolooware and Cronulla), shops, Beach and cafes. 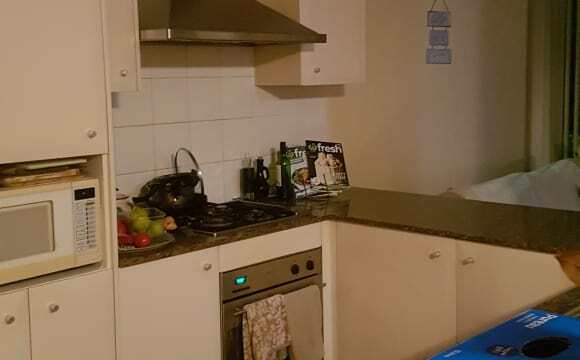 The unit has a private laundry with washing machine and dryer, dishwasher, and a nice balcony that is face to the outdoor swimming pool of the building! A stones throw from shops and public transport this rare beauty is situated on the waters of South Cronulla esplanade. It boasts private beach access and ocean views from every room. Listen to the magical sounds of the sea as you sleep. 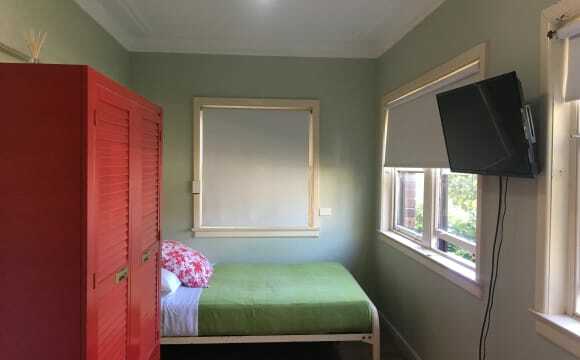 BEST OF BOTH WORLDS Very private neat single furnished room in a quiet 2-bed Cronulla garden unit in security block, at end of a cul-de-sac and right beside a park, BUT * Still close enough and within walking distance to all beaches, rock pools, sea baths, mall, cafes, gyms and Cronulla and Woolooware stations, with a bus around the corner. . * Available , for any sensible female, prefer over 20 (non smoker/no drugs) to share with similar sensible male. 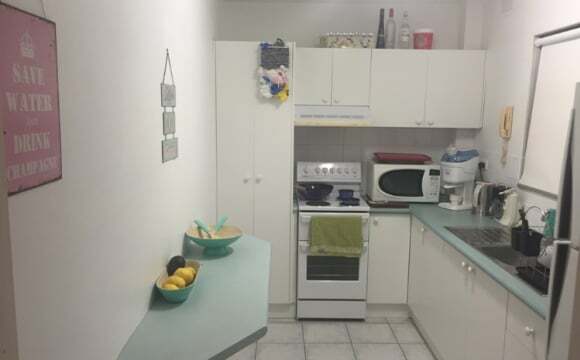 * Unit also boasts Foxtel; 2 private courtyards; indoor laundry with extra toilet. * Nice neighbours and little noise at all. * Fully furnished or you can replace bed/wardrobe/cupboards (private storage underneath). * Bathroom includes bath and seperate shower. 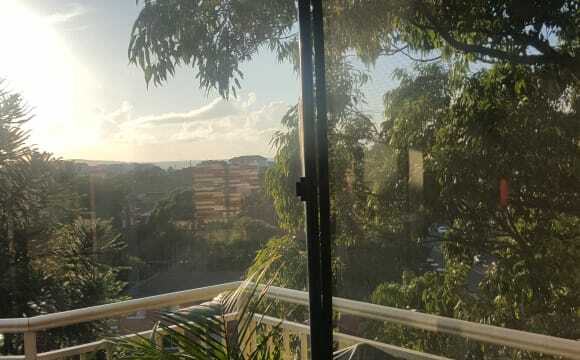 Great unit block nth facing balcony gets sun all day.quiet block with respectful tenants.1 min to the beach 5 to the mall.I have a garage for storage laundry downstairs. 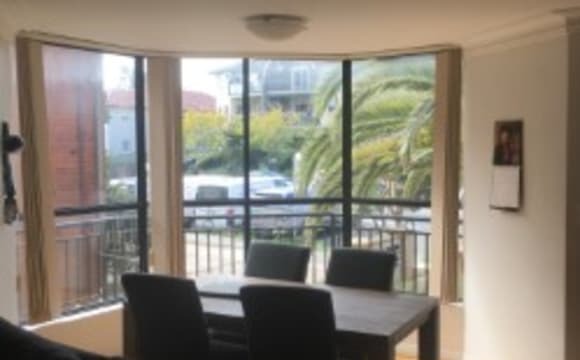 5 minutes walk from Cronulla mall, great view, quite appartment building, 5 minuets walk from the beach and train station. We are currently looking for someone that would that is wanting to move in long term as we re sign our lease at the beginning of April. One of our house mates are leaving to go travelling so we are looking for someone to replace him. 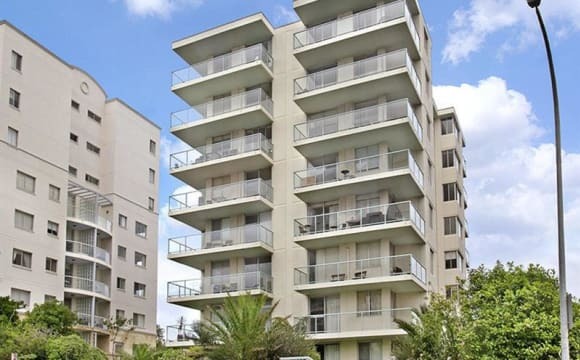 I have an available room in a 2 bedroom unit in North Cronulla. Separate toilet from the bathroom and an internal laundry. You will have a double mirrored built in wardrobe in your room. Short walk to all amenities such as shops, beach and train station. I'm looking for a down to earth, friendly, tidy, easygoing and respectful female in their 20's to share the unit with.